will be lovingly remembered by her Children, Grand Children, Family and Friends. 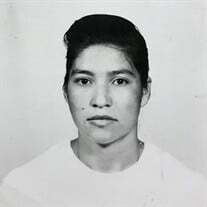 The family of Ms Juanita Fuentes Tapia created this Life Tributes page to make it easy to share your memories. Send flowers to the Tapia's family.